I’ve FINALLY finished one of the projects I did, using the leftover plywood from the cabinet and bookcase we had made. Funnily, it was the most difficult one but the bookshelves for Bea and the hanging rack for behind the bathroom door are still waiting to be completed. 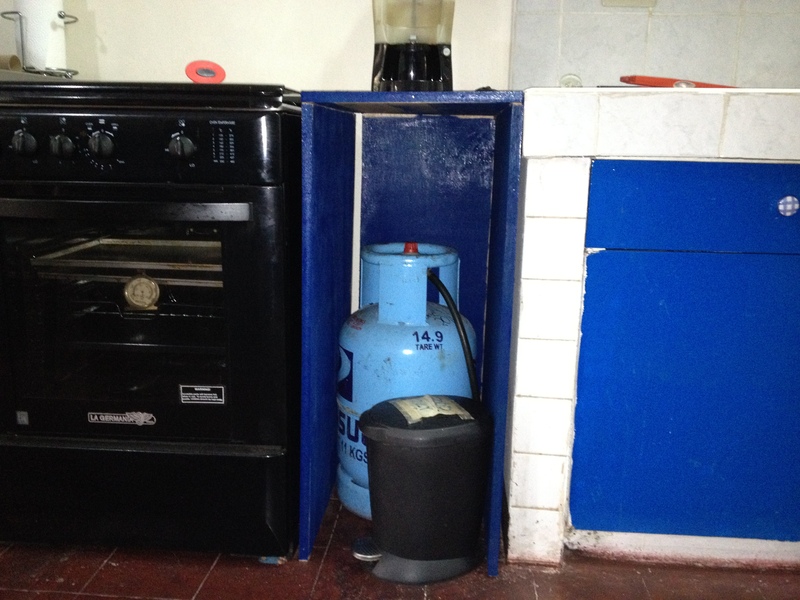 We keep the gas tank between the counter and the oven, and it’s a bit of an eye sore. 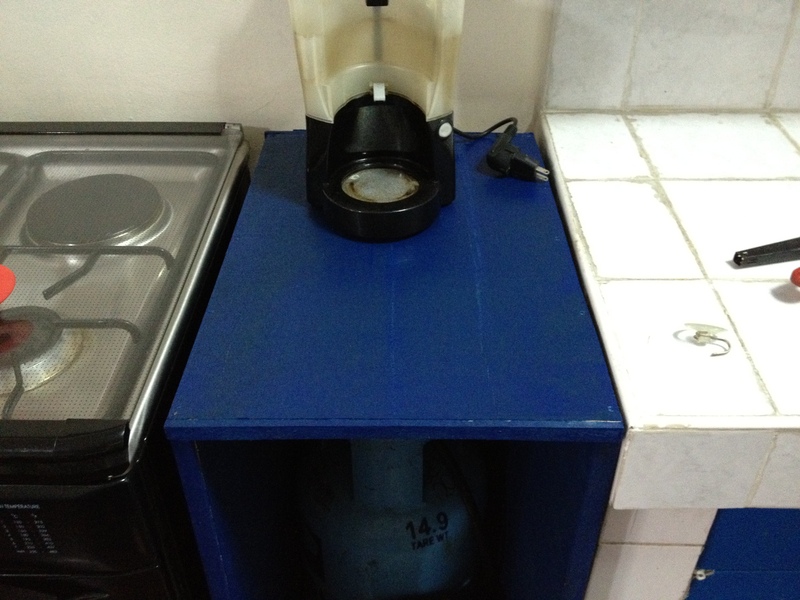 So I came up with a solution – a cover for the gas tank (and trash can) and an extension for our counter. I’m so proud of myself. I did this all on my own! Measured the space, cut the wood, nailed it together, painted it. Who knew I had it in me? My husband just sat back and watched. I did ask him for help at one point, to screw an L-bar in. But other than that, that’s all me. It’s very simple, absolutely no frills – I wouldn’t be able to handle it otherwise. Now, my problem is how to waterproof the top! I need to protect it from oil splatters and liquid spills. I bought polyurethane earlier today. I hope brushing it on helps.